The Trump administration released its long-anticipated budget targets last week, providing more detail on exactly how President Donald Trump will meet his goal of cutting $54 billion in nondefense discretionary spending in order to boost defense spending by roughly the same amount. The budget details released by President Trump largely represent a hodgepodge of recycled ideas from previous conservative spending plans—that is, where they offer any details at all. These cuts would directly threaten the safety and economic security of ordinary Ohioans, while benefiting wealthy and powerful corporations. In particular, Trump’s proposed cuts would cripple a wide array of programs that support medical research. Cuts to institutions such as the National Institutes of Health, or NIH, would have a major impact on Ohio. 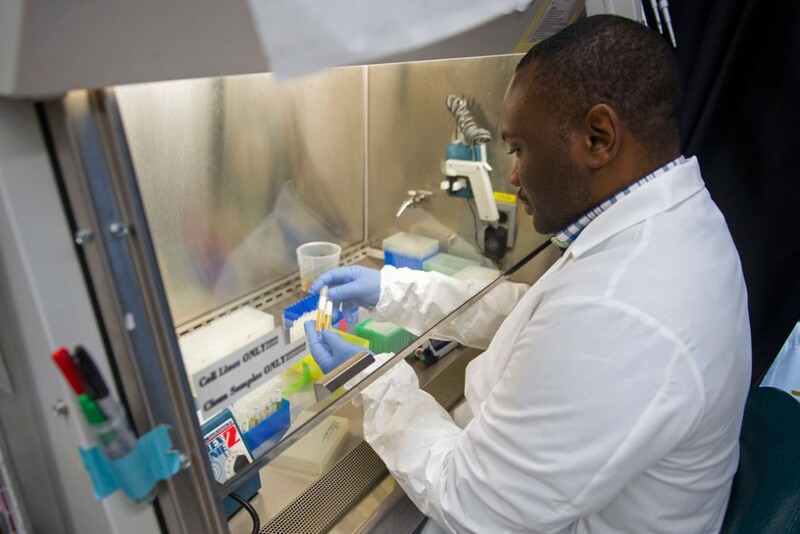 NIH grants fund critical research that leads to breakthroughs in medicine, saving lives. Last year, the NIH made 1,694 grants to organizations in Ohio, totaling $734 million. In fact, Ohio was the 10th most highly funded state in 2016. The Trump administration’s budget outline would cut NIH funding by $5.8 billion, an 18.3 percent drop. This proposal would have pared Ohio’s NIH grant allotment to just $600 million if it had been applied this year. While the Trump administration may try to disguise cuts to funding as solely administrative or structural changes to the NIH, the Trump administration’s budget would almost certainly hit core NIH funding and cut off resources for ground-breaking medical breakthroughs. Major reductions for National Institutes of Health funding would hit key programs in Ohio such as those working to find cures for major diseases. Cuts to NIH funding are just one piece of a budget that is likely to force severe service shortages across an array of programs that Ohioans depend on. Elected officials representing Ohioans in Washington must take notice of the impact that the Trump budget would have on Ohio families. Ryan Erickson is the Associate Director for Economic Campaigns at the Center for American Progress. Harry Stein is Director of Fiscal Policy at the Center.